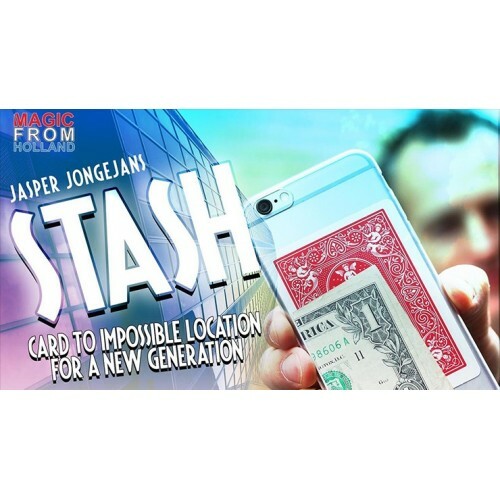 STASH by Jasper Jongejans and MagicfromHolland is the Card to Impossible Location for the next generation! Imagine the reactions you will get when their signed card appears UNDER your transparent phone case! Now you can do an easy card to an impossible location everyone is familiar with! So here is what happens: From your pocket, you remove your phone and a deck of playing cards. 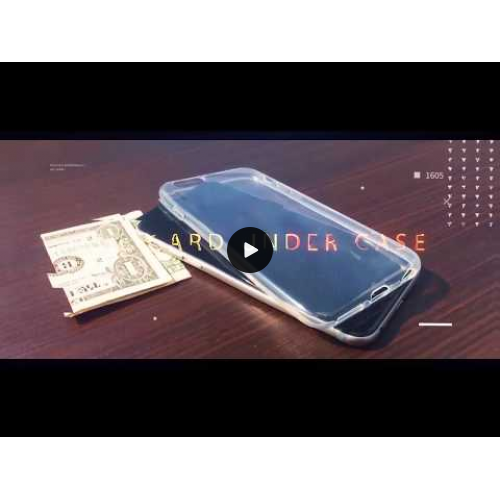 A transparent phone case is protecting your phone. Inside, on the back of the case, they can see some everyday items, perhaps a bill, train ticket, receipt, etc., and... one playing card! Now, the phone is placed aside, because it's time for a card trick. Have ANY card selected and signed - heck, you can even do any favorite card trick with a signed and selected card! When you think it is time to hit them, you point to the card inside/under your phone case... You take the phone, open up the case, take the phone out and place it aside. You are now holding the transparent case and inside is one card only... a signed card... a card signed... by your spectator!! Hand out the card for examination or let them keep it as a souvenir of this impossible moment! STASH by Jasper Jongejans is a GREAT and very strong piece of magic using an object that everybody carries around today: a smartphone. Points to Remember: NO force, any card can be used Card can be signed Works with both RED or BLUE Bicycle deck Easy to do, NO PALMING Required Cleverly designed gimmick Use ANY smartphone and ANY clear case You will receive a very beautiful handmade gimmick that does all the work for you! The gimmick is cleverly designed, and you can use either a RED or BLUE Bicycle deck! The online instructions will guide you through everything you need to know, including handling tips AND tricks. Please Note: There are so many different types of phones. Therefore, we provide you with the gimmick only. You need to provide a transparent phone case matching your phone yourself. These types of cases can be purchased for a few dollars in lots of stores.